So a few days ago I received some very exciting and very unexpected book mail from HarperCollins. I tweeted Katharine and Elizabeth to tell them how excited I was for the book and a few days later, it showed up so thank you so much to you both! Obviously, I was a huge fan of book one (The Witch's Kiss) so I was so excited for this one. Let me tell you guys, I finished it in 3 hours. One sitting. It was insanely good. Although the first and second books are linked (obviously), I feel like you could read this book first and have no trouble following the story-line and the character's journey. I think this is one of the things I love most about this series. The ease of it all. Even though we're in a magical world, it flows so well and you don't find yourself getting confused or feeling overwhelmed with new information. 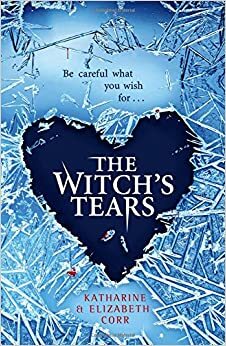 The Witch's Tears is written from Merry Cooper's point of view and book two focuses predominantly on her transition (or lack of) into becoming part of the Coven. Merry knows that she's different, the Coven knows that she's different and no matter how hard she tries, she just can't quite fit in. Merry is an incredibly powerful witch but as she is still unable to control her ever-growing powers, the other witches are mostly frightened or unaccepting of her. Merry has some love drama herself. She is missing Jack more than she could have imagined and everything she does and sees is a reminder of what she's lost...that is, until Finn. Finn is obnoxious, arrogant and seems an all-round snob, so why does she start developing feelings for him? And how will it affect everything else happening in her life? This book, much like the first was unputdownable and this series just has something that not many other YA series have. I love how fast-paced it is. I love the style of writing. I love the chapter length (this is honestly quite a big thing for me, long chapters bore me). I love the simplicity of it, yet it has just enough detail to ensure you know exactly what is going on. I think you get that I love it, right? Katharine and Elizabeth, I just have one question: when's book three? Have you read the first book in the series? What did you think?